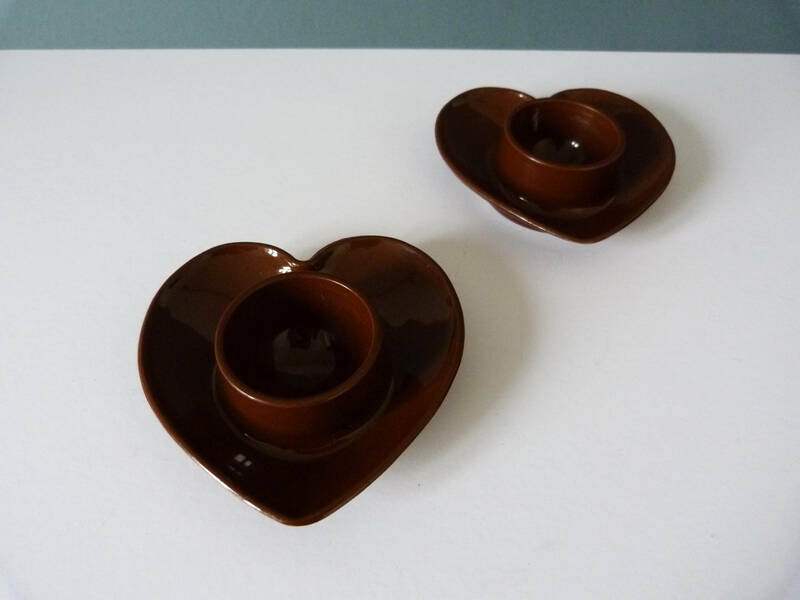 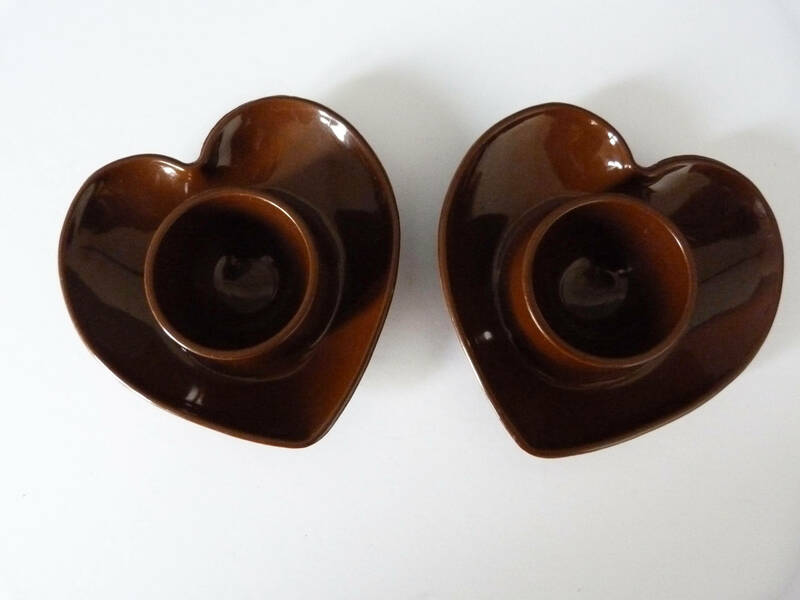 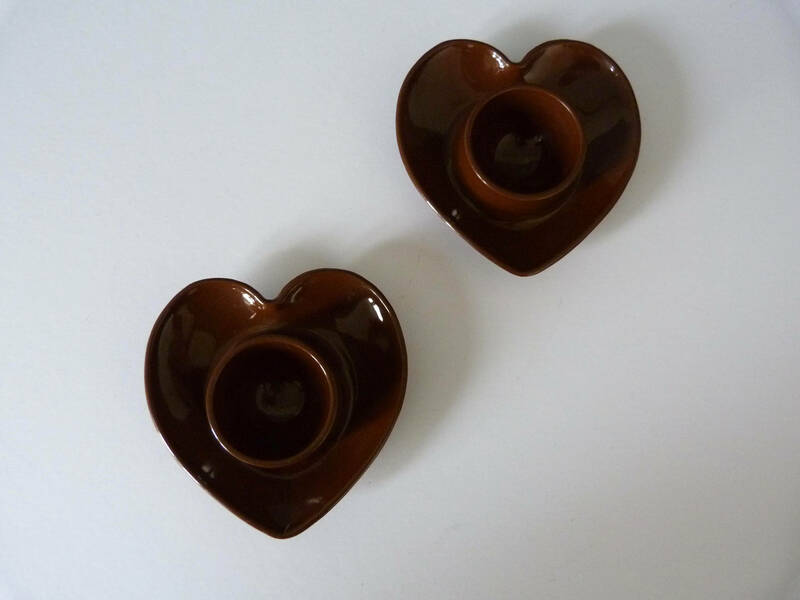 Brought in Denmark, here we have a pair of cute, heart egg cups, perfect for Sunday morning breakfast time. 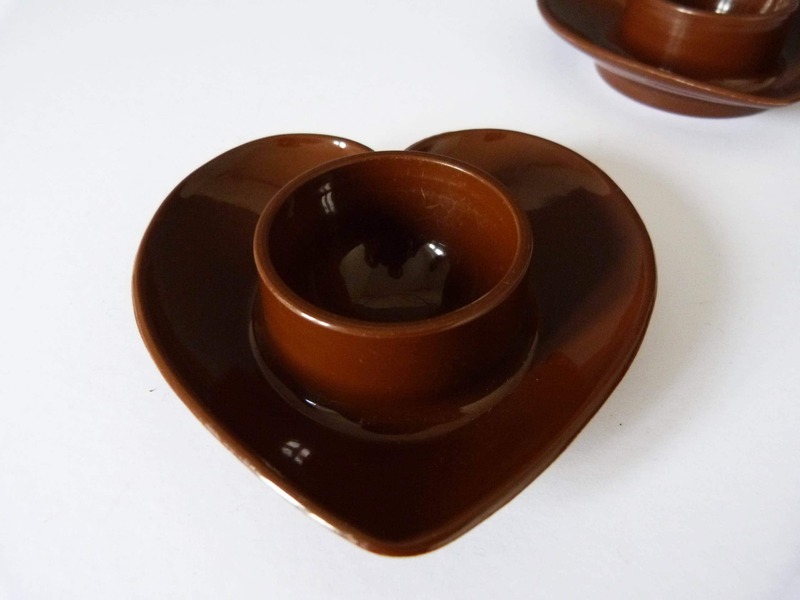 When not in use they fit neatly together. 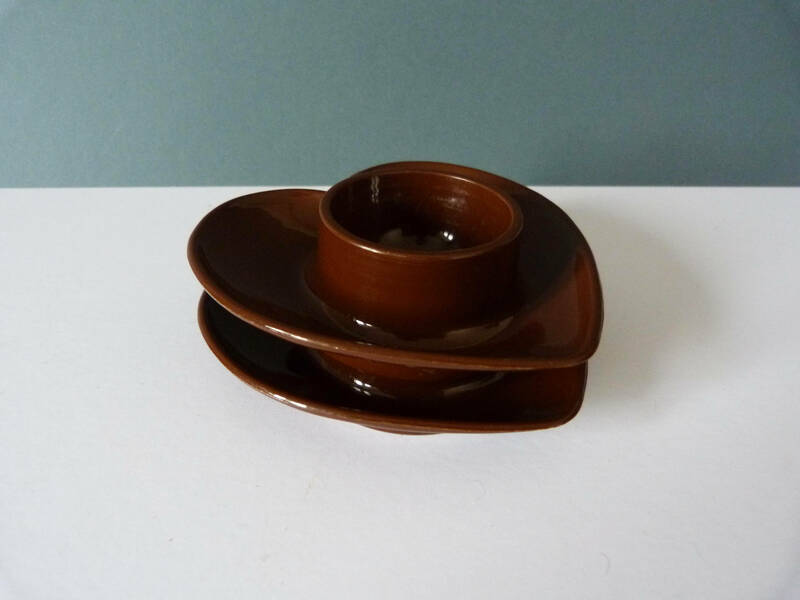 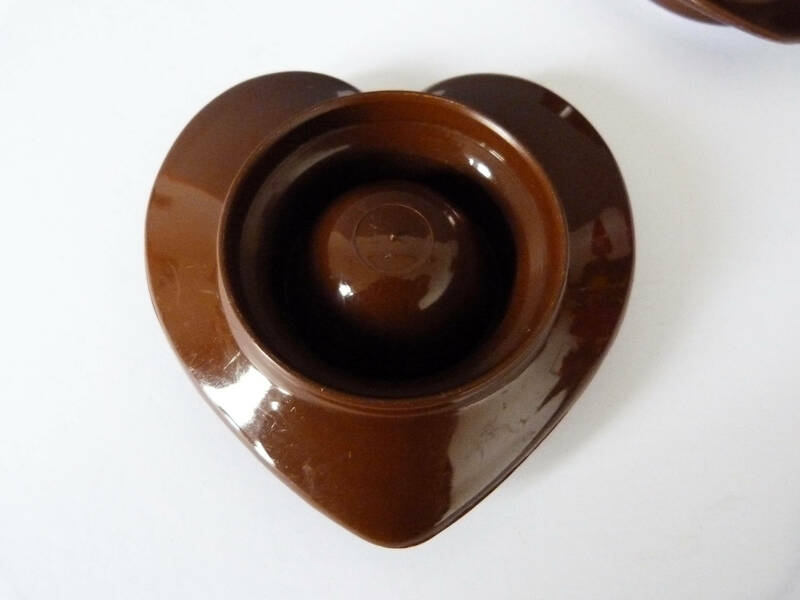 Produced in classic 1970's brown plastic.